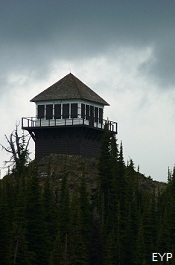 Mount Brown Lookout in Glacier National Park. 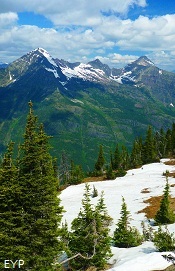 The hike to the Mount Brown Lookout in Glacier National Park is steep, but the views from the lookout make it worth it. 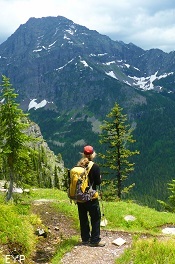 The hike to Mount Brown Lookout (7,487 feet) in Glacier National Park is not for the average visitor because the trail gains 4,325 vertical feet in 5.4 miles. 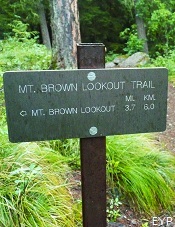 Because the Mount Brown Lookout Trail so steep, we recommend that only visitors in good physical condition attempt this hike. For those who do tackle this strenuous day hike, they will be pleasantly rewarded with great views. 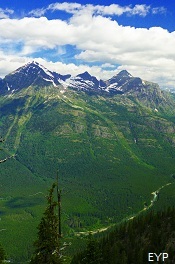 This is a view (from the Mount Brown Lookout Area) of the valley where the Going-to-the-Sun Road begins to wind it's way up the west side of the Divide to eventually reach Logan Pass. 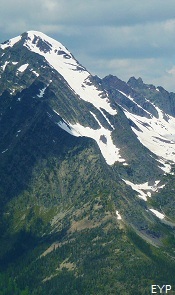 Mount Vaught is the prominent Mountain in this photo. 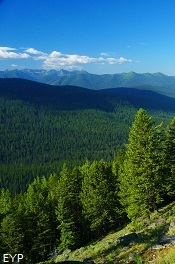 You will first pass through a wonderful old growth cedar forest, and as you climb in elevation, the vegetation changes accordingly. 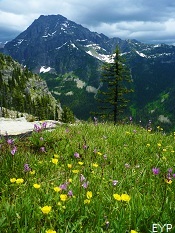 So the variety of scenery is quite interesting. 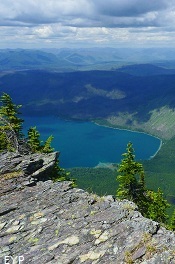 About two thirds of the way up, you will get an excellent view of Mount Edwards to your right, and if you look back to your left, you will begin to see Lake McDonald far below you to the west. 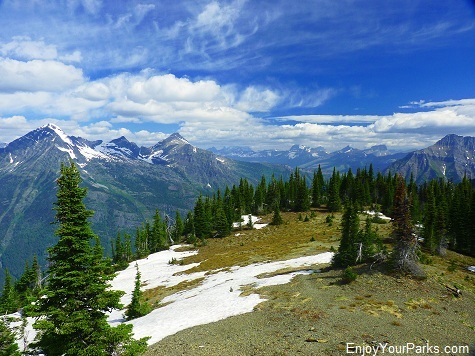 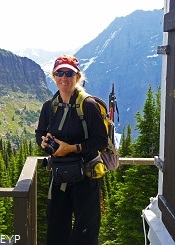 The views are really nice as you hike to the Mount Brown Lookout in Glacier National Park. 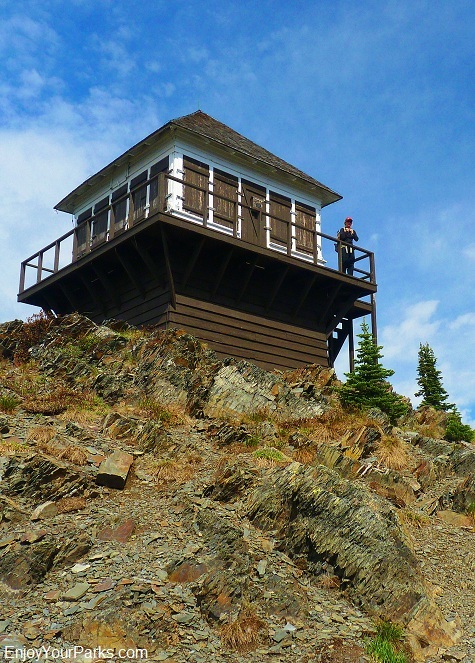 Once you reach the Mount Brown Lookout, go ahead and climb the stairs to the upper deck. 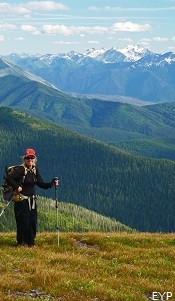 The views are wonderful in all directions, and you will forget about how tired you got hiking to get there. 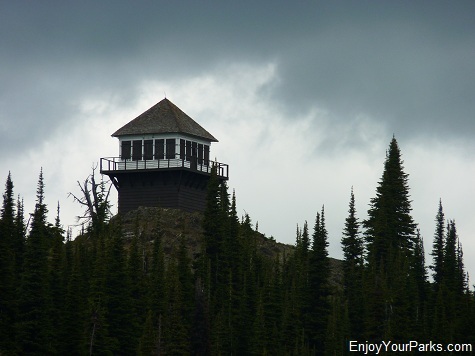 You will get a great view of Lake McDonald, Stanton Mountain, Mount Vaught, Mount Edwards and Bearhat Mountain. 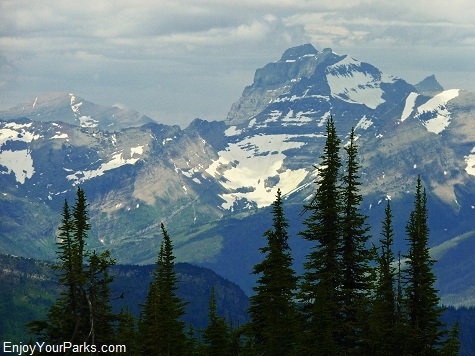 Further to the east, you will see Glacier National Park's Lewis Range, which includes Mount Wilbur, Mount Merrit and Mount Cleveland (the highest peak in Glacier National Park). 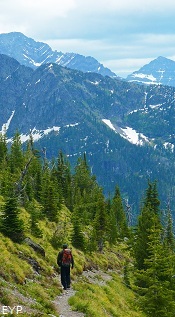 The Highline Trail is below many of the peaks of the Lewis Range, and can be seen from the Mount Brown Lookout. 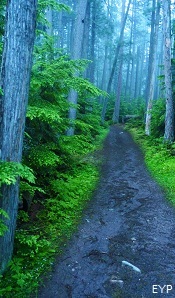 You Better Be In Good Shape! 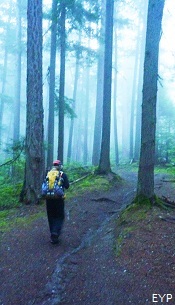 This is a fun hike if you're in shape, but it could be a disaster if you're not in good physical condition, so use your judgment. 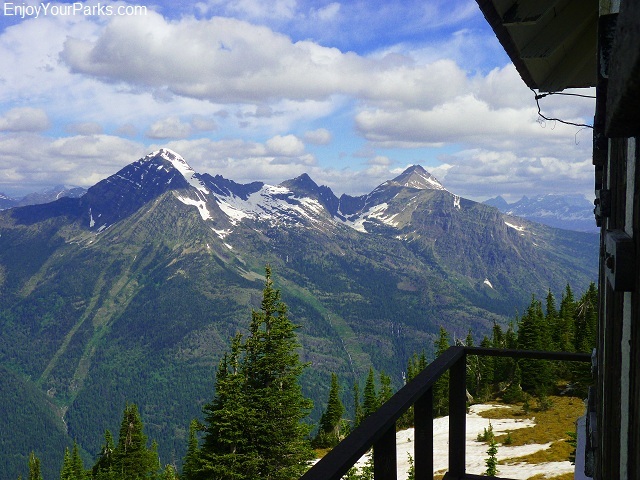 The Mount Brown Lookout Trail is NOT a hike that we recommend for your first trip to Glacier National Park unless you're staying for a week or more. 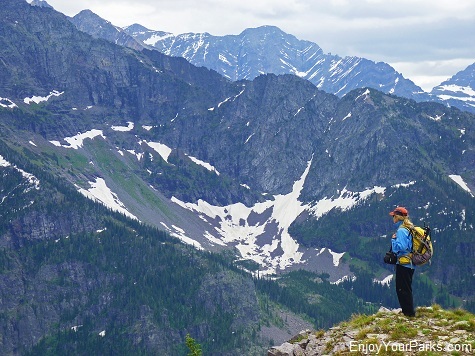 You need to be checking out the hikes on "Glacier's Top Ten" first and foremost. 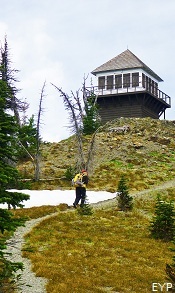 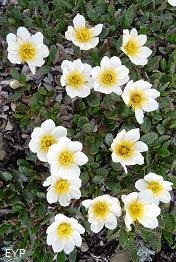 For details on what we recommend you bring on your hike to the Mount Brown Lookout, click the following link: Informative E-Books. 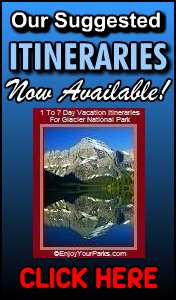 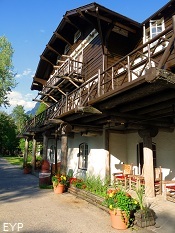 To see all of our helpful E-Books, including Our Suggested Itineraries, click here. 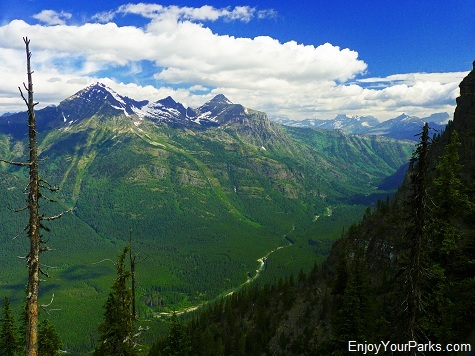 This is a view to the east as you stand on the upper deck of the Mount Brown Lookout in Glacier National Park. 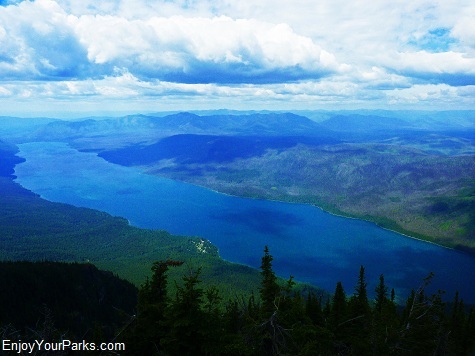 This is a view of Lake McDonald from the Mount Brown Lookout in Glacier National Park. 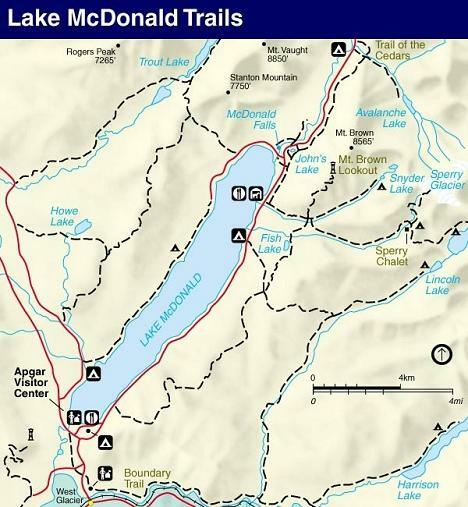 Notice Lake McDonald Lodge along the south shore. 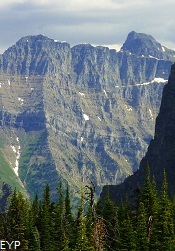 This is the famous Mount Merritt as seen from the Mount Brown Lookout in Glacier National Park. 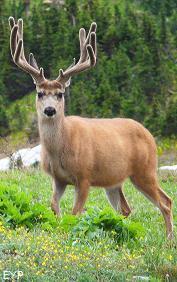 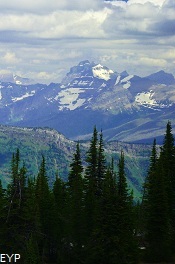 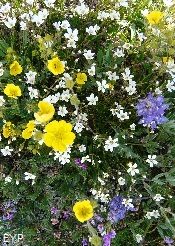 Merritt is one the "Big Six" in Glacier Park that are over 10,000 feet. 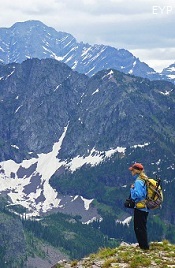 It's always a good feeling when the Mount Brown Lookout comes into view after hiking 4,325 vertical feet in 5.4 miles. 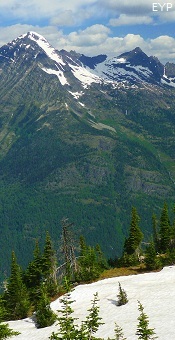 This is a great view of Mount Edwards along the Mount Brown Lookout Trail in Glacier National Park. 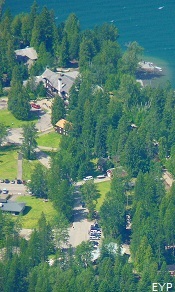 This is a telephoto view of Lake McDonald Lodge from the lookout.